As we sit behind our screens sharing and appropriating found words and images in a free-flow of information, our rights as producers and consumers of content can seem a little hazy. 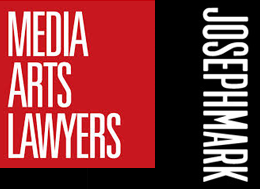 Josephmark creative director, Alex Naghavi, sits down with her sister, Yasmin Naghavi, creative industries lawyer from Media Arts Lawyers, to shed some light on the practicalities of copyright in a digital economy. Alex Naghavi: Yas, I’m going to dive right in and ask about protecting your work online. What advice do you have around that? Yasmin Naghavi: Well, as you know, once you’ve created an original work it is automatically protected by the Copyright Act 1968, which provides you with a bundle of rights that are exclusively yours; after publication it’s really your vigilance that ensures those exclusive rights are protected. But there are things you could also do to safeguard your work (e.g. watermarking) and as technology develops there will be more advanced software to detect infringement too. There’s no formal registration process in Australia: in essence, copyright subsists as soon as it is created and this is exactly the same, whether you’ve drawn something on a piece of paper, or put something online. As soon as the work is in material form, it is protected. Because of that it is not necessary to apply the © mark to assert your rights; however, it is useful when combined with a date, to put on notice the first date of creation and the owner – e.g. © 2015 Alex Naghavi. Does that apply for the rest of the world? It’s Australian legislation, so you’re protected under Australian law, but due to the Berne Convention (for the Protection of Literary and Artistic Works), your work is protected in other countries too (provided those countries are also signatories to the Berne Convention). Having the security that your copyright is protected certainly makes it easier to license your work into other territories. Yes, as the owner of the copyright in an artistic work, you have the exclusive right to (i) publish the work; (ii) reproduce the work; and (iii) communicate the work to the public. For musical, dramatic and literary works, you also hold the right to (iv) perform the work and (v) make an adaptation of it. These are known as the bundle of rights. 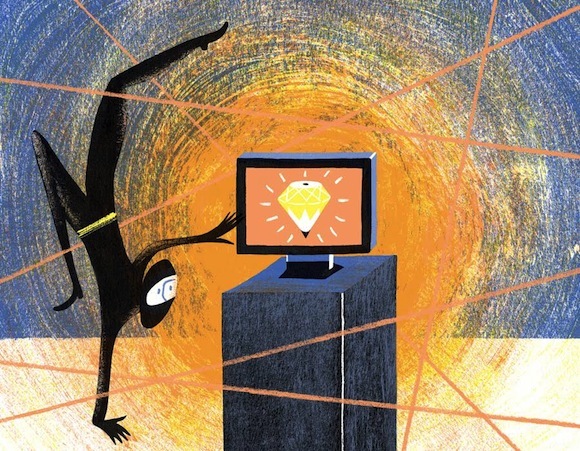 As the copyright owner, you hold that bundle of rights to the exclusion of all others. This means you can decide how (what media), where (what territory) or when (what duration) the work will be exploited. You can do this yourself or you can assign or license those rights to another party (for some sort of fee or other consideration). So, say you see someone using or reappropriating your work in an unauthorised way, what course of action would you suggest? You can ignore it, seek legal advice as to your options, or issue a takedown notice to the uploader and/or host of the work (or any combination of the foregoing) – it really depends on what it’s worth to you to have it taken down. Questions to ask: (i) is it devaluing my work? (ii) is it diverting income that should be paid to me to someone other than me? On the flipside, what advice would you give someone if they coincidently created something similar to someone else, but the work was completely independent of that other work? This question is probably too big to deal with here. In the quickest form, if it is wholly coincidental and independently created, then there is not copyright infringement. Be aware though, you can’t just blindly claim coincidence. George Harrison was found by a court to have subconsciously plagiarised ‘He’s So Fine’ for his track ‘My Sweet Lord’ even though he had no knowledge or intention of doing so at the time. If this comes up in your practice, ask a lawyer’s advice. That brings me to what is probably an even vaguer question: where does inspiration end, and illegitimate copying start? Work is not created in a vacuum, meaning you will always be inspired by the things you’ve seen, felt and heard – by your perception of the world around you. That inspiration ends when you copy someone else’s expression of an idea to the extent that a layperson may think that the two works (or parts thereof) were made by the same person or are otherwise substantially similar. Under Australian law there is no percentage or ‘rule of thumb’, which is a permissible amount of a work that you can copy before it is considered copyright infringement. In fact, you can take just a very small aspect of a work, but if it is considered a substantial part, then you risk a claim of copyright infringement, that is: provided that the work is still in copyright (which is the life of the author plus 70 years) and the work isn’t open to use by some sort of licence to you (e.g. Creative Commons). The lesson here is if you use any other person’s work in your work, you must obtain a licence from that person to use the work in the manner you wish to use it (and for the period and territory). What are the risks associated with using someone’s likeness in a campaign, say in a satirical way? You could get sued for defamation of character, right? Yes, potentially, but it would depend on the actual work and the person in question. For someone to be defamed, they must have an established reputation. There are also certain people that can’t claim for defamation, such as dead people or some corporations. Actually, the line is pretty clear. Something is in the public domain when it is out of copyright protection. Memes, in most instances, will infringe copyright because they embody some recent pop culture reference. But would you agree that if it isn’t doing any harm or making any money, it’s kind of OK? No, it’s still infringement. But the question for the copyright owner is whether it is commercially viable for them to ensure that the infringement ceases. Keeping in mind the viral nature of memes, it would be very time consuming and potentially costly to issue takedown notices each time they appear. It’s like a game of Whack-a-Mole. Things the copyright owner will consider: (i) is the other person making money from using my work in their meme; and (ii) is that meme causing damage to or injuring my reputation? If neither is the case, the copyright owner will probably ignore the use. Besides, most memes have a pretty short life cycle anyway. On a side note, I had a funny incident recently where I came across my profile photo used in a design mock for another website. It was really bizarre. Correct me if I’m wrong, but I’m pretty sure you can’t just use someone’s photo that’s been posted on Facebook, right? Yes, that’s right. To be clear though, as the model you have limited rights in the photograph, but the person who is owner of the photograph or copyright in the photograph (usually the photographer) will have a right to say how your photograph can be used. If the image, however, is used for commercial use (e.g. a Facebook advertisement) without the model’s or photographer’s permission, not only can the photographer exercise their rights, but the model may have a claim that the image appears to be an endorsement (where none exists). In other words, your social pics are safe to post on sites like Instagram and Facebook. But this is why it’s important from the photographer’s standpoint to obtain fully signed model releases if the photographer intends to use or license or assign to another person the right to use the photograph for commercial use. Remember that, under Australian law, as the creator of the work you are also afforded ‘moral rights’, which are: the right to have the work attributed to you, the right against false attribution, and the right against derogatory treatment of your work. Moral rights can be waived, but cannot be assigned. Unless you waive your moral rights, you will hold onto these rights for the life of copyright in the work. So, even if you are fine for your work to be shared online for free, you can still ensure that you are properly attributed for the work you have created. By crediting the source, you don’t necessarily avoid having to seek permission from the owner, which is definitely best practice. That said, even where sharing is allowed, there is definitely an issue with social media where it is often difficult to credit the original and correct source. My advice is to always do your due diligence and fact checking to ensure that credit is given where credit is due. OK, say you want to do the proper thing and attribute the creator, but you can’t for the life of you figure out who that is. Should you take the risk and redistribute it anyway? This happens quite a bit. You really need to make good faith efforts to determine who the owner of the work is before you use it – even if you think the other work is obscure and unlikely to be discovered. If you reproduce, publish, communicate to the public a third party’s work without permission, you run the risk of action being taken against you in relation to that infringement. In practice, you’d expect to receive a takedown notice/cease and desist letter in the first instance, but in cases where the use has benefited you (commercially or otherwise) or has harmed or injured the name or reputation of the third party, you should also expect to receive demands for fees or damages. In short, get a licence or use another image – otherwise you run a commercial risk of getting caught. Final question: say someone offers to buy or license your work, do you have advice on what to charge and how to do up the contract? Your fee can only be determined on a case-by-case basis, but my guidance would be to find the sweet spot between what your value is and what the value to the client is. In all instances, make sure that your fee is a fair reward for your artistic output. In terms of the contract, I’d suggest that you speak to a lawyer whose main practice area is in the design and creative industries.